2018 is shaping up to be a massive year for fighting games. With games like Soulcalibur VI, Dragon Ball FighterZ, and Fighting EX Layer all expected to arrive, there is so much going on that you might have forgotten about Street Fighter V. But you would be a fool to let this fighting game great fade from memory. After an extremely shaky start back in 2016, Capcom have endeavoured to improve, update, and support Street Fighter V year on year, but 2018 will host the largest and most important update yet. Why? On January 16th, Street Fighter V is graduating from its standard vanilla release to Street Fighter V: Arcade Edition. There is much to get excited about. Street Fighter V has tough competition in the form of Dragon Ball FighterZ – read our impressions to find out what it’s up against. 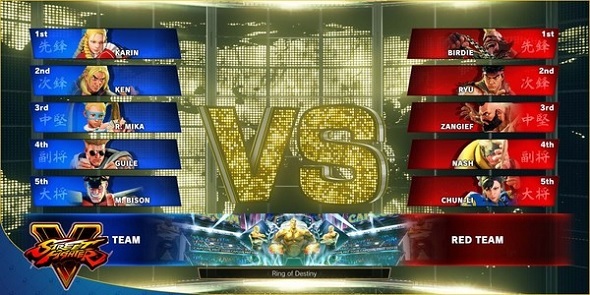 The first thing you will undoubtedly notice with Street Fighter V: Arcade Edition are the updated menus and HUD. Adding a sheen that celebrates the new additions to SFV: AE while fine tuning the previous design. You can now clearly see when you have a full health bar as it shines with a glint of gold as opposed to the previous full green bar. The EX gauge has had a similar treatment, as it now shows a more concise representation of your meter, with each section of the gauge now clearly represented. There is also a total overhaul of the character/stage select screens. The HUD and menu redesigns have clearly been influenced by one of the biggest draws to Arcade Edition, secondary V-Triggers. While the cast all retain their V-Skills, each and every character gains access to a new V-Trigger with the update. 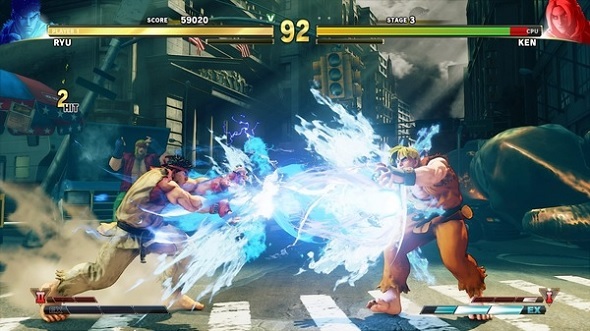 Some characters, like Ken, get a devastating singular attack in the form of a new V-Trigger, while others, like Nash, gain more movement options with follow-ups to dramatically extend their combos and mixups. Some characters also get access to new moves during their V-Trigger activations, like Ryu and his fabled Donkey Kick. Make sure you check out your go-to character’s new moveset before the patch goes live to stay ahead of the curve. As well as the new moves and V-Triggers there is a plethora of new modes for you to indulge in Street Fighter V: Arcade Edition. 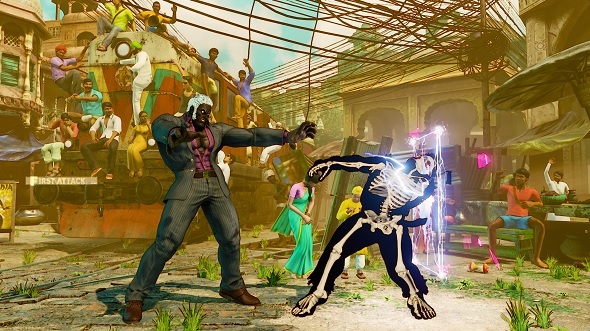 Living up to the update’s namesake, Arcade Mode will finally be returning to Street Fighter V in response to fan demand. It is by far one of the most prominent aspects of the update, adding six very different arcs that cover Street Fighter, Street Fighter II, Street Fighter Alpha, Street Fighter III, and Street Fighter IV. Every iteration of Arcade also promises to stay faithful to the story of its respective game while integrating the new characters along the way. Hell, even the infamous barrel minigame makes a guest appearance in the appropriate timelines. You can even compete against friends for highscores by completing these arcade modes while meeting secret criteria. Arcade Mode also sees the return of Team Battles, which incorporates two different offline modes: Best of Series and Elimination. These modes will have you and your friends form alliances and compete against each other with extra modifications, such as carrying over meter to later games and additional health. Finally, Extra Battle mode allows you to put it all on the line in a series of weekly events that require you to spend your hard-earned Fight Money to compete for a chance to win a Crossover Costume. Each of the Crossover Costumes are designed as a homage to other famous Capcom titles, the first being Rashid’s Viewtiful Joe outfit, which can be earned piece by piece over the course of four weeks starting on January 16th, and will cost 2,500 Fight Money per attempt. 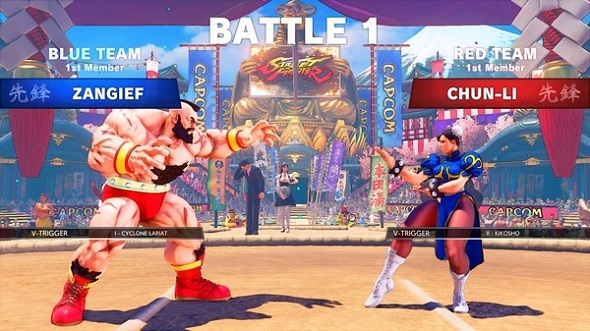 A similar themed mode that allows you to earn Fight Money by competing against Golden Shadaloo Soldiers, and at a smaller entry price with some fairly big rewards at the other end too, while another similar mode allows you to compete for rare titles. If you already own Street Fighter V, it might be worth firing up your PC and earning some dosh, then – especially given that Capcom have clarified there will be dramatic overhauls to the way Fight Money is earned, favouring online competition and weekly challenges over the previously bountiful offline bonuses. Capcom have already announced their plans for 2018 with Street Fighter V’s third season of DLC characters, which starts on January 16th with Sakura’s grand entrance. Familiar faces joining Sakura include Blanka, Sagat, and Cody, and then there are two completely new characters, Falke and G.
That means, yes, unlike Season 2’s character pass, all of the characters in Season 3 have been announced way in advance, letting you know exactly what you are buying with the latest pass. There will also be a huge balance patch that will address the current cast’s strengths and weaknesses, adding extra depth – on top of the new secondary V-Trigger system – for competitive players. That’s right, everything in the Arcade Edition update is totally free to current owners of Street Fighter V’s base game, but it will not include any of the DLC characters from Season 1 or 2. That means, if you bought SFV on release, all you need to do is drop your disc in that tray and let the internet do its thing. Although, if you are yet to buy into Street Fighter V, do not worry. Street Fighter V: Arcade Edition is also getting a retail release for the low price of £30 which will include the base game, all of Season 1 and 2’s characters, and a series of bonus costumes if you pre-order from select stores. Street Fighter V: Arcade Edition has an extremely promising year ahead, blending the old with the new while keeping the experience fresh. With Mena RD recently taking first at Capcom Cup, there will also be an additional Birdie costume out this year next to a whole litany of other sick outfits that can all be viewed in Arcade Edition’s new model viewer mode. 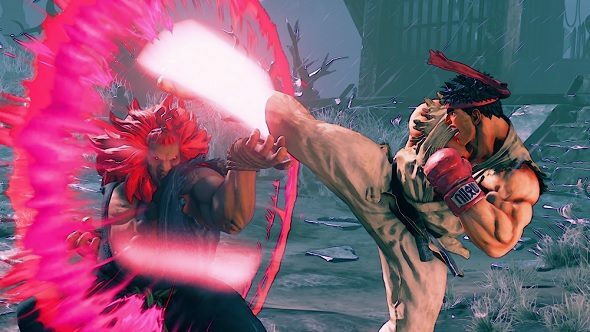 There has never been a better time to be a fan of Street Fighter V. Whether you are an online warrior or a casual fan patiently awaiting an arcade ladder, there is something for everyone in this update. The wait for Street Fighter V: Arcade edition is almost over – time to break out your favourite pad or arcade stick.